Home Food & Drink Have you ever heard of the Rhubarb Triangle? Well, let me assure you that it’s nothing to do with other famous triangle (the Bermuda Triangle, which is where ships and planes are said to have mysteriously disappeared without trace over many years). The triangle I’m talking about is situated in West Yorkshire or more specifically in the area of Wakefield – Leeds – Bradford including the towns in that area – this is the the Rhubarb Triangle. For more than 150 years the famous forced rhubarb has been grown and sold throughout the British Isles from this area. Actually, rhubarb originally came from Siberia and Northern China, which is one reason why it thrives so well in the cold, wet winters of Yorkshire. In the 1940s the forcing of rhubarb had reached its peak and more than 600 tons were dispatched each night during the harvest time, mainly to London on the ‘Rhubarb Express’ and in the 1960s over 90 per cent of the world’s forced rhubarb came from Yorkshire. However, this has declined in recent years due to foreign imports from Holland and Germany. The current method of growing rhubarb was developed in the early 19th century when its success was mainly because it was fed on a combination of ‘shoddy,’ (waste from recycled woollen material from local mills) with lots of horse manure and ‘night soil’ from nearby urban areas, together with a plentiful supply of coal for heating the forcing sheds. Initially, the rhubarb plants are grown outdoors for two years without being harvested, after which time they are lifted and subjected to frost on the open ground before being moved into the sheds in November. They are grown in complete darkness in sheds which are heated, which enables the shoots grow rapidly until the end of March. Growing the rhubarb this way ensures the stalks grow up to two feet long, have a smooth texture and are crimson coloured. After they are harvested, the roots are all composted as their job is over. 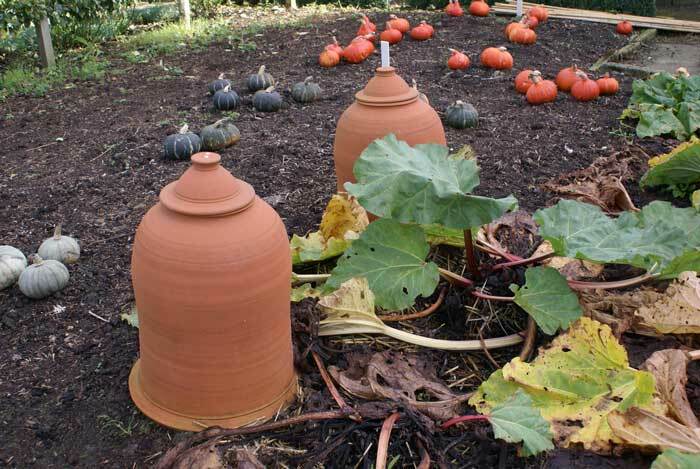 Many people like myself have tried to grow rhubarb in their gardens or on their allotments with varying degrees of success. Some have even won prizes for the longest and thickest stick of rhubarb. Unfortunately, in my case, I haven’t had much success as my rhubarb tends to have only short thin stems, so obviously I’m not using the right sort of horse manure. In 2010, Yorkshire Forced Rhubarb joined the ranks of EU protected foods such as Stilton cheese, Parma Ham and Champagne and in 2007 Wakefield Council oxrganised the first ‘Wakefield Rhubarb Festival’ which has now grown to become the Wakefield Food, Drink and Rhubarb Festival which takes place in February. The festival is a celebration of the region’s rhubarb crop, which includes rhubarb-themed cookery demonstrations and lots of street entertainment. Last year they had the dance group The Rhubarb Tarts and the popular Dame Ruby Rhubarb. Best of all, you can taste and buy a range of foods like rhubarb cheese, rhubarb fudge, goat’s cheese and rhubarb pizzas and even rhubarb sausages, all prepared by local chefs. As well as lively street entertainment there are guided walks, food trails and lots of fun for the children. The Wakefield Festival is definitely on the tourist trail as you can now go on guided tours around the forcing sheds, run by local coach firms, or you could combine it with an overnight stay at a local hotel. 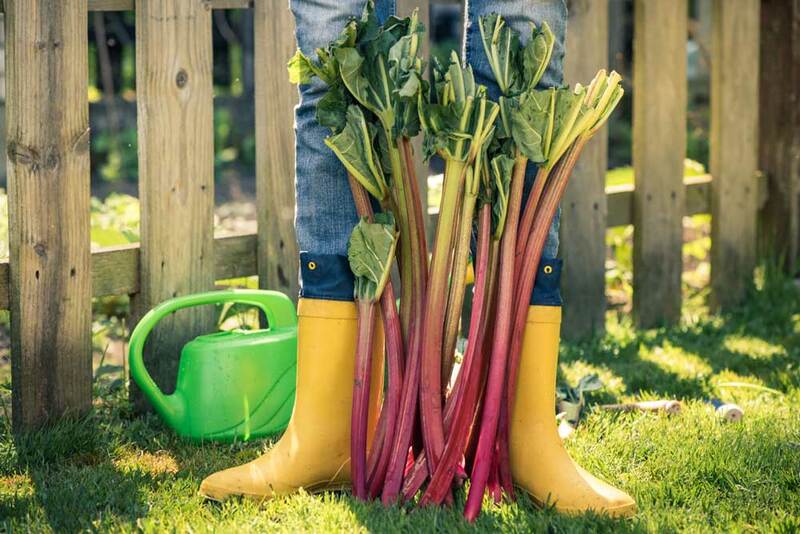 One company advertises themselves as both producers and packers of high quality rhubarb and have had five generations of experience in forced rhubarb production and also provide conducted tours around their own forcing sheds during the Festival. When rhubarb was introduced into this country, in the 16th century, it was used as a treatment for a variety of common illnesses such as toothache, gout and indigestion but it wasn’t until the 20th century that people started using it as an ingredient for all kinds of other foods, such as pies, jams, crumbles and even home made wine. Personally I prefer the old fashioned rhubarb pie and rhubarb crumble, both with lashings of custard. What’s your favourite rhubarb dish?